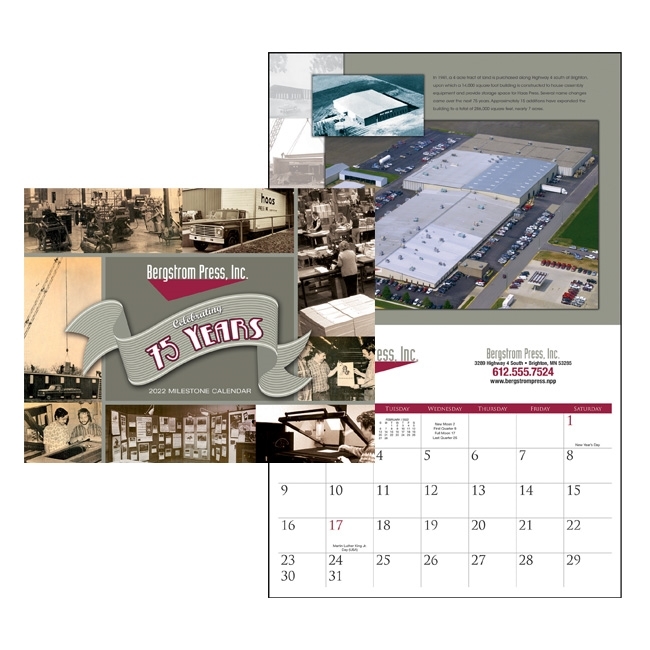 A 12-month staple-bound wall calendar featuring 13 full-color, custom images (includes cover). 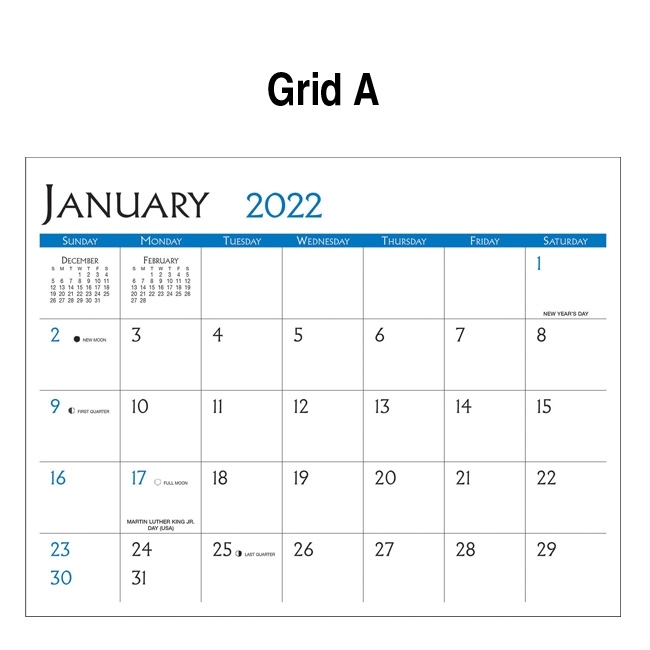 Choose from three different calendar grids. 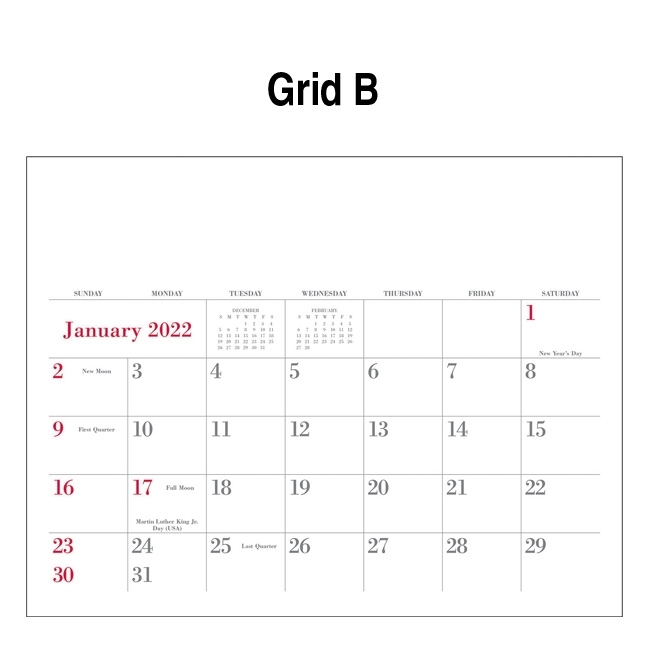 Imprint: With grids B & C your custom ad can repeat every month, or change every month. 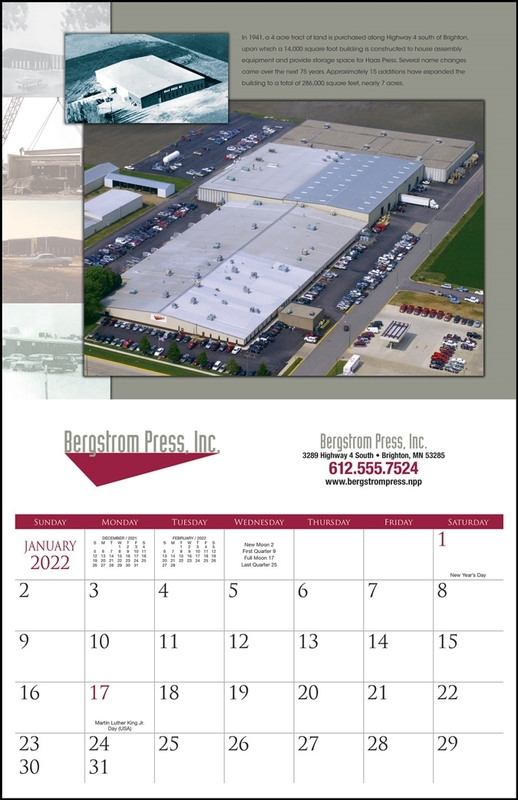 Monthly Image Size: Please provide high resolution images sized for a full bleed.